Architect and hometown boy Hal McKenzie is called back to Bloomfield when the mayor needs help figuring out how to expand the city hall and courthouse. That will mean having to move the old Founders Cottage provided by the Caroline Short family. Hal was sweet on Caroline back in high school and knows that moving her family’s historical landmark isn’t the best way to take another shot at having a love connection. Now he must respect the mayor’s wishes while convincing Caroline that he still cares for her. I’ll keep this brief since it took me a LONG time to get through it. I thought that it wouldn’t be overly necessary for me to read the other books in the series prior to reading this and while i was right, it may have been a good idea to have gotten the back story on some of the relationships since history kept getting brought up. All that being said, what we get here is a nice little ‘chic-lit’ type story that starts out with an issue of a mayor who wants things his way and wants to ‘move a historic property’ all the while, doing it at the sacrifice of relationships of people who’ve lived in the town all their lives. At the same time, we get to see old relationships grow a bit – rising out of interesting and bad places to become more solid and real. There’s a focus on legacy in a town where it matters and then seeing friendship and family come together. I wish that it didn’t take me so long to read,maybe i would have enjoyed it more, but for now, i’ll just say it was average, if not a little under. sorry folks! Nothing to write home about for sure – but if you are into light and fluffy – you’ll get that here. 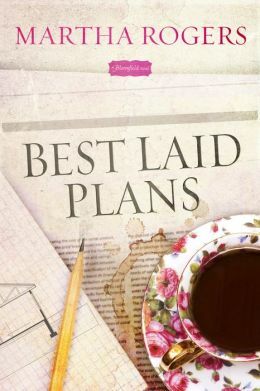 This entry was posted in Reviews, Young Adult and tagged Best Laid Plans, Bloomfield Series, Martha Rogers by iscm13. Bookmark the permalink.